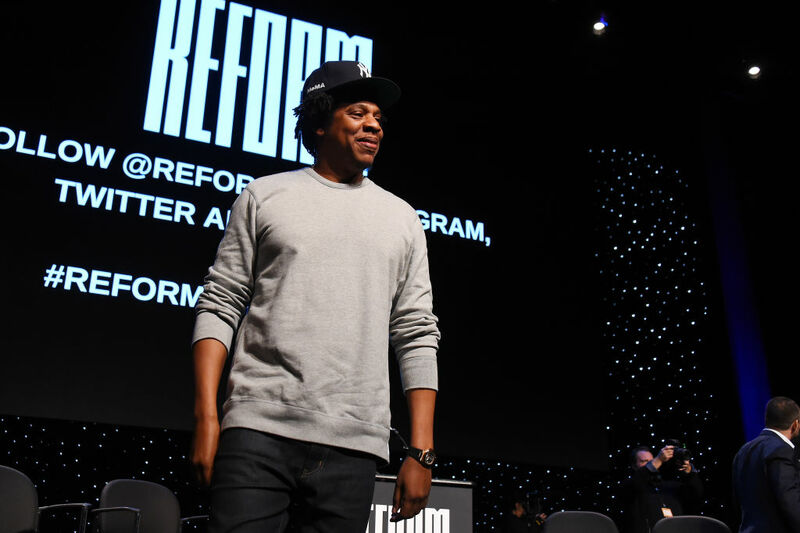 Rappers Jay-Z and Meek Mill are teaming up not for a music project but to tackle the issue of prison reform in the US, and in addition to their collaboration, they're pledging a total of $50 million to get the initiative up and running. It's called Reform Alliance, and at a recent press conference announcing its formation, Jay and Mill were not alone among its founders. "Every time I started fulfilling my life [within] the music industry, every year or two, there was always something that brought me back to ground zero because of probation. I always wondered what happened to the people in situations worse than mine… I'm one of the lucky ones. I'm here to speak for the ones who don't have a voice. I didn't ask to be the face of reform, but I want to bridge gaps and make the world a better place, especially for my culture." "Meek and I had this argument for years where he would say to me, 'Michael, there's two Americas.' And I'd be like, 'Bro, what are you talking about? We live in a great country.'" "An hour later, Meek calls me from prison and goes, 'I told you so! I told you there were two Americas!' You were right and I was dead wrong… That day changed my life forever. This problem is so much bigger than Meek. Fundamentally, our criminal justice system is broken and doesn't work." Prison reform in the US is a huge issue and the plan is for Reform Alliance to put its resources and clout behind established organizations, many of which have been in operation for decades. Commentator and political activist Van Jones has been hired as CEO for the initiative, and he explained that its goal would be to not "reinvent the wheel, but accelerate it." The first step in doing that will be to focus on issues affecting the 4.5 million people currently on parole or probation in the US. As he puts it: "This started out as a buddy movie and it's now become the Avengers."